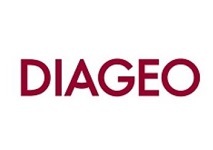 International spirits firm Diageo has announced its intention to bring its “highly successful Guinness Open Gate Brewery concept” to Baltimore County, Maryland, USA. According to the company – which also recently announced a plan to build a new distillery called Roe & Co – the idea will include a mid-sized Guinness brewery and a Guinness visitor experience as well as an innovation microbrewery at the company’s existing Relay, Maryland site. The move is expected to “bring the company’s investment in Relay to approximately $50 million”. The new site is said to be a home for new Guinness beers created for the market in the US, while Guinness Stouts will remain to be brewed at St. James’s Gate in Dublin, Ireland. The new site will offer visitors a tour within the brewery, as well as sampling experimental beers brewed on-site at the taproom. “Given the success of our Open Gate Brewery in Dublin and the popularity of beer tourism in the US, we are confident that Americans will welcome the opportunity to come experience Guinness brewing in Baltimore County”, said Tom Day, president, Diageo Beer Company, USA.